/mad-men-season-7-trailer-final-episodes/Last week, AMC released the first teaser trailer and photo gallery for the second half of Mad Men Season 7, with the final 7 episodes set to debut on Sunday, April 5 at 10:00 pm. Now, we get the official poster. 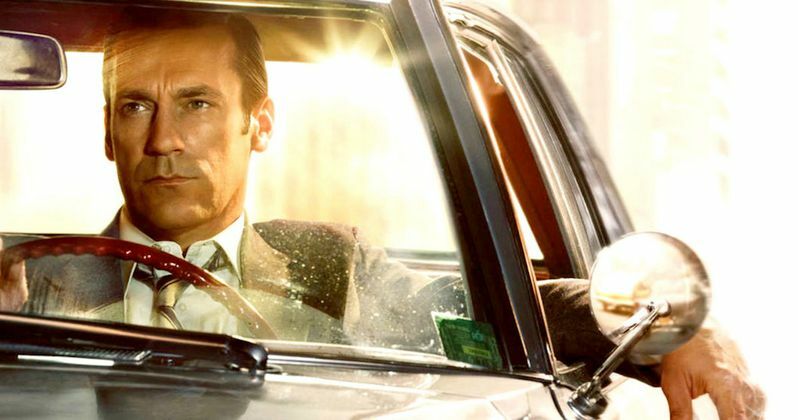 Here, we see Don Draper (Jon Hamm) as he prepares to ride off into the sunset, signature cigarette in hand. This one-sheet also continues to hint at the series' 70s time period, as Draper and Associates ease their way out of the 60s. "What an incredible journey this has been. I take great pride in what the entire 'Mad Men' team was able to create episode after episode, season after season. We sincerely thank the fans for joining us on this ride and hope it has meant as much to them as it has to us."